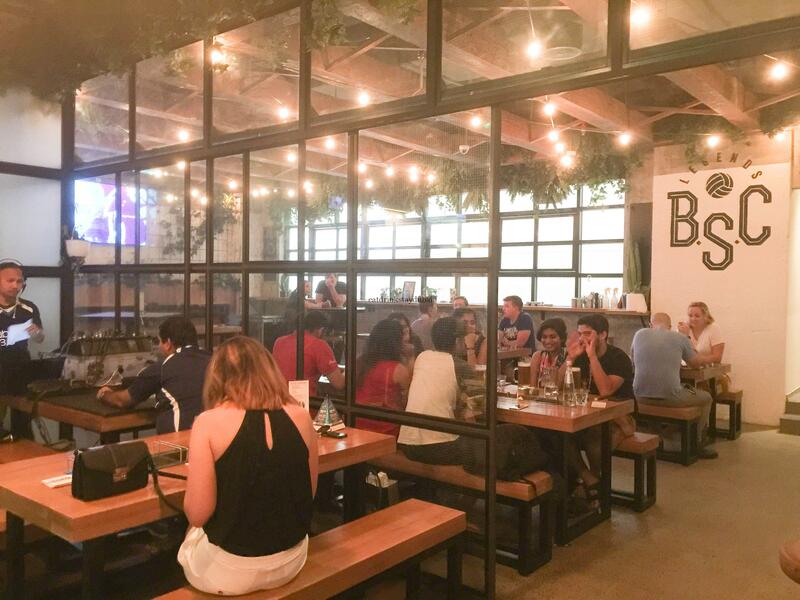 Brunswick Sports Club is the fifth venue in Dubai from Bull and Roo (the company behind Tom and Serg, The Sum of Us, Common Grounds and Muchachas). Usually more famed for hipster coffee hangouts, this is their first licensed venue, and is located on Level 2 within the Sheraton Mall of Emirates. 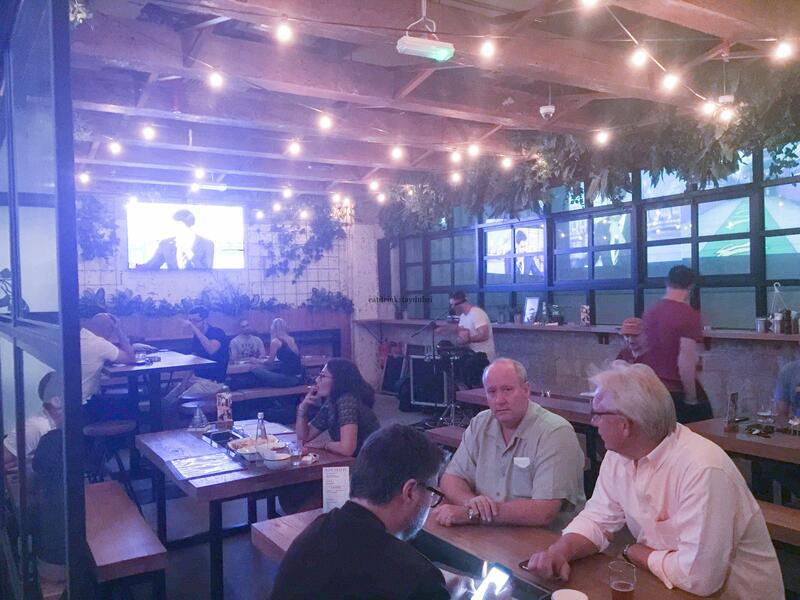 There’s a distinct casual and Australian vibe going on, with bench seats, a multitude of TV screens for showing sport and a great community feel to it. The front main bar area has a few high group tables, whilst the middle has lower group tables. In a separate area at the back is an open plan area with low group tables, ideal for functions, musicians etc. 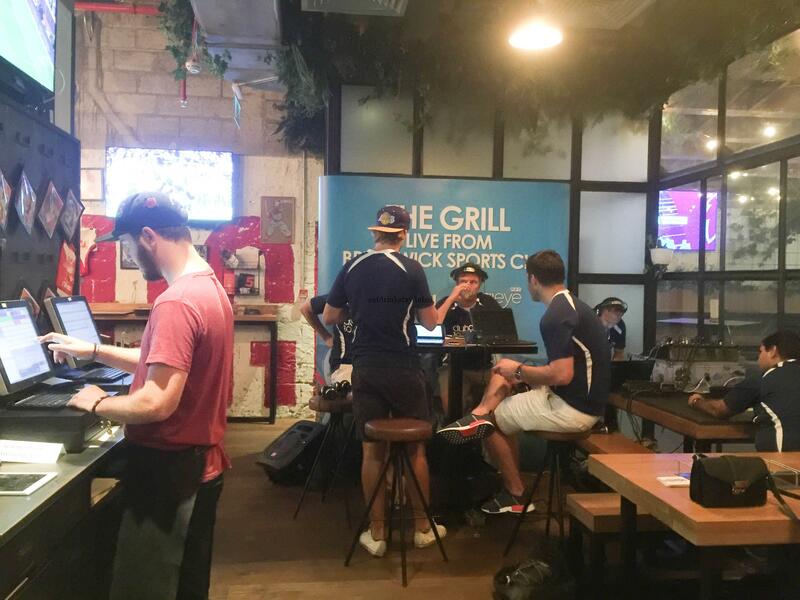 As it was Saturday, the radio station Dubai Eye 103.8FM were hosting a live sports broadcast called “The Grill” covering the football (Premiership) in the middle area. However, they didn’t stay to cover all the Premiership fixtures of the day, packing up halfway through the day’s games for some reason? 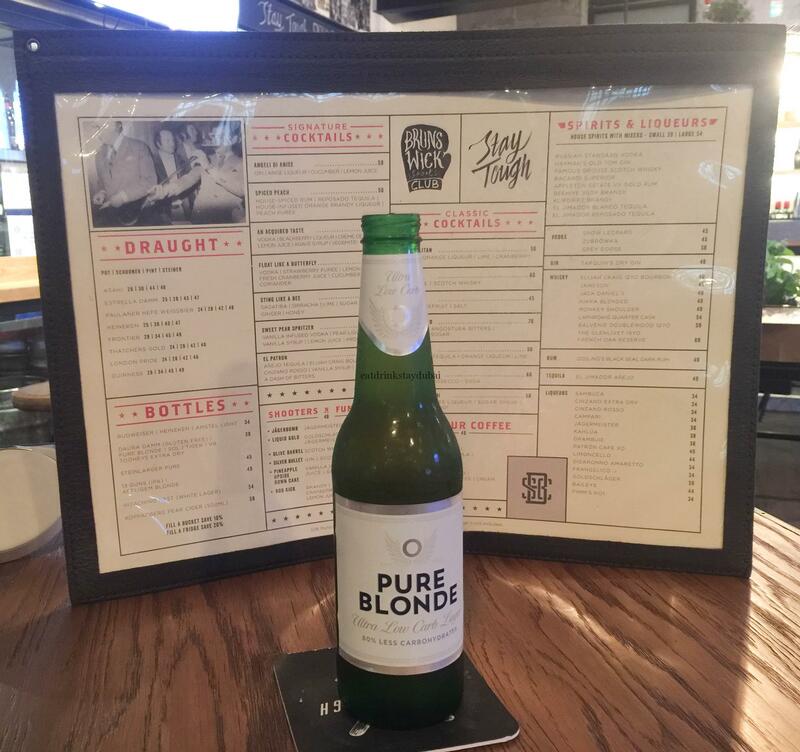 Craft beer is a clear focus at Brunswick Sports Club, with a wide range from all over the world – however some on the menu weren’t available, yet others were that weren’t listed. 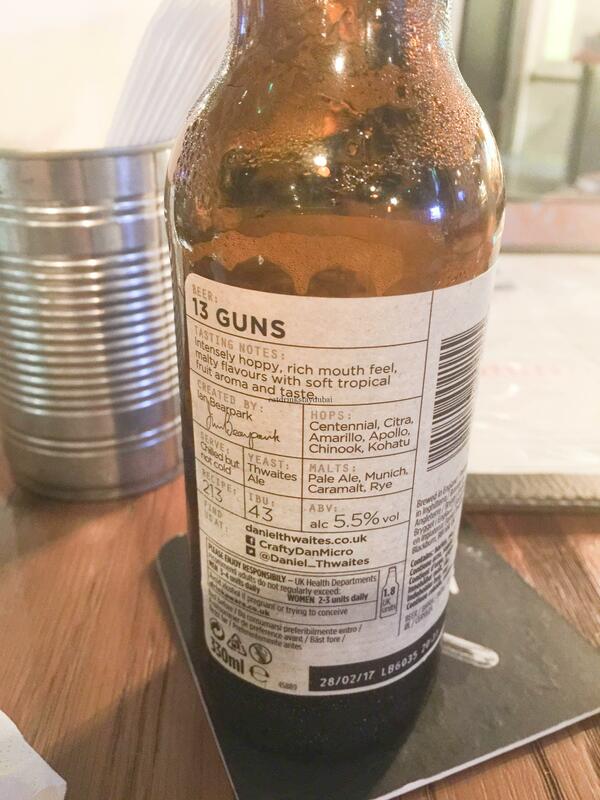 Is printing menus that expensive, really? To accompany the wide range of draught beers, different serving sizes are available (pot, schooner, pint and steiner) for draught beers. 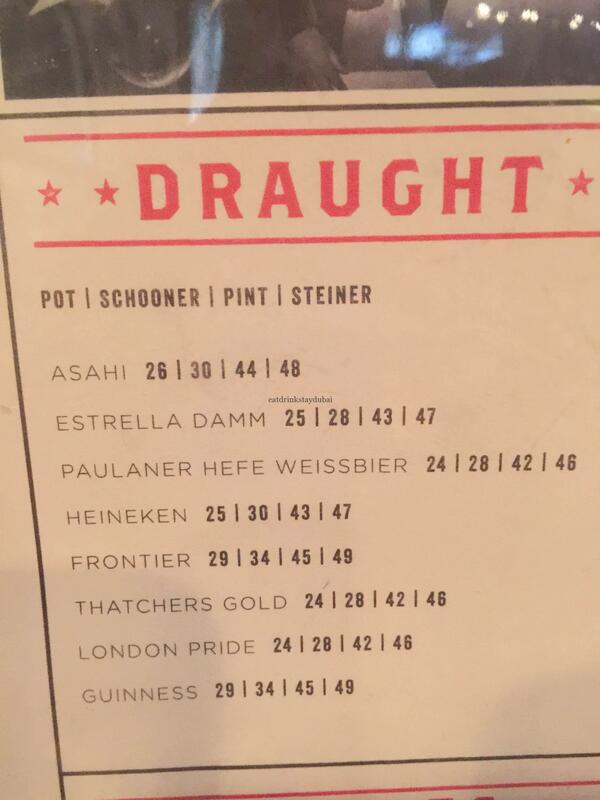 Asahi, Estrella Damm, Paulaner, Heineken, Frontier, Thatchers Gold, London Pride and Guinness were all listed – but Estrella Damm wasn’t available that day for some reason. 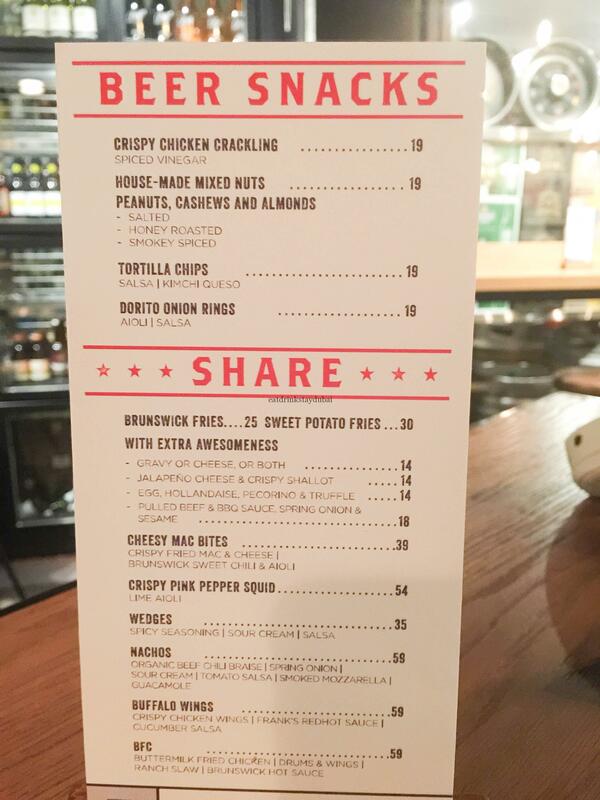 In addition to the drinks, bar snacks are available – nuts, nachos, wings, wedges etc. 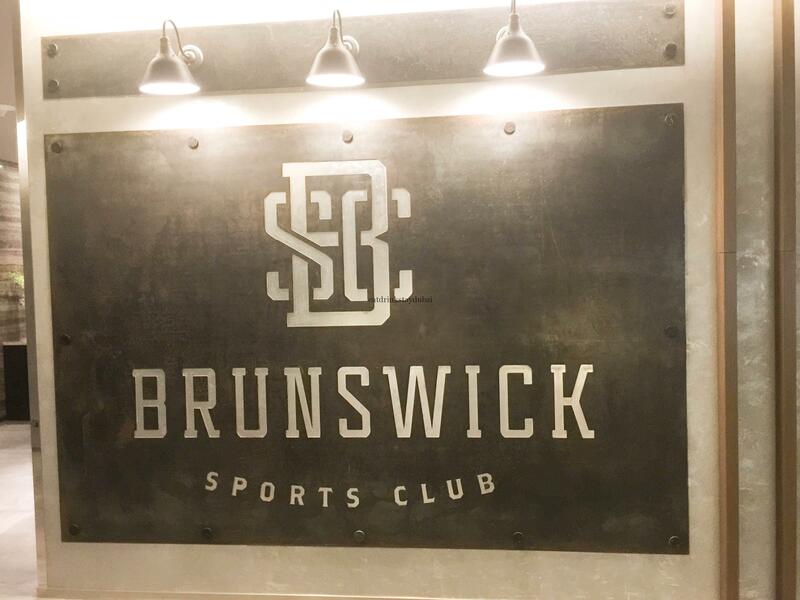 Brunswick Sports Club: How expensive is it, and are there any deals? 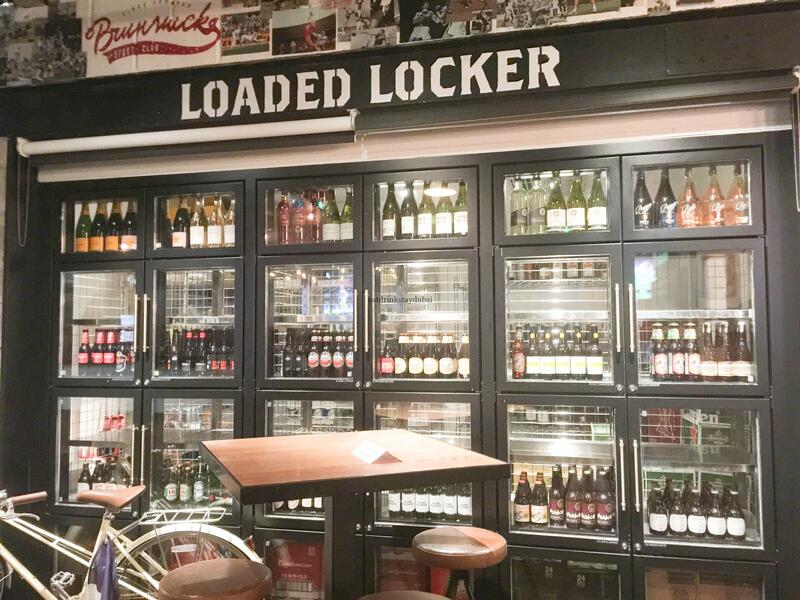 Starting at the top, a Steiner of Guinness or Frontier comes in at 49AED with 42AED being the lowest price for a pint of Paulaner, Thatchers or London Pride. 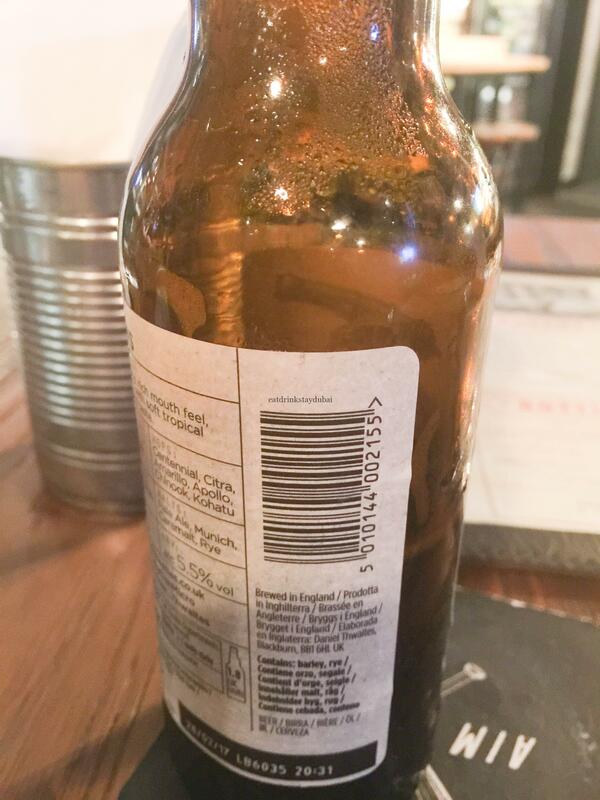 Given some of these hops are not the standard or generic drinks in Dubai, that’s not too bad a price when you consider you can pay that for a common drink. Where it gets interesting is the bottles – as these are where the adventure really starts. 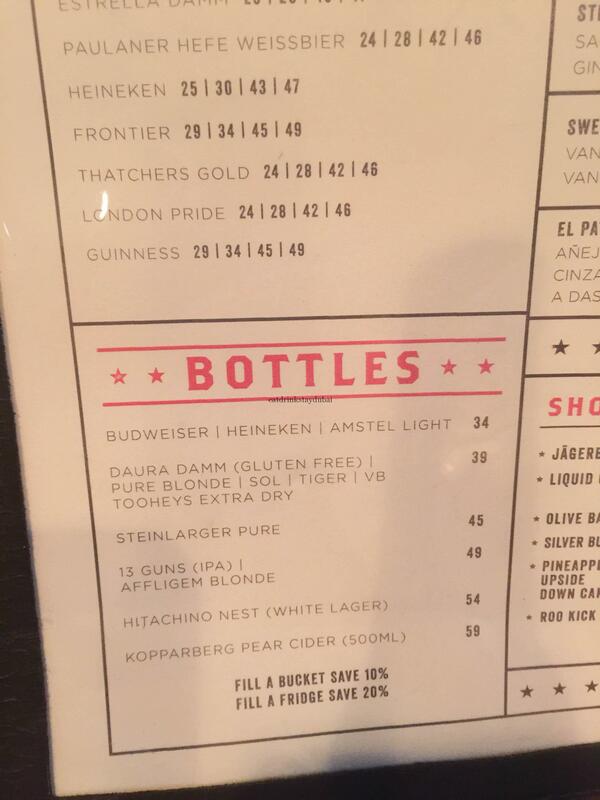 Kopparberg Pear Cider seems to be the most expensive at 59AED, which is cheaper than some places in Pier 7 charge. So in summary, to drink two craft beers in a nice venue, whilst having the choice of each TV showing a different Premiership game was not overly expensive. Tortilla chips were tasty and filling, and both hops were pleasant. 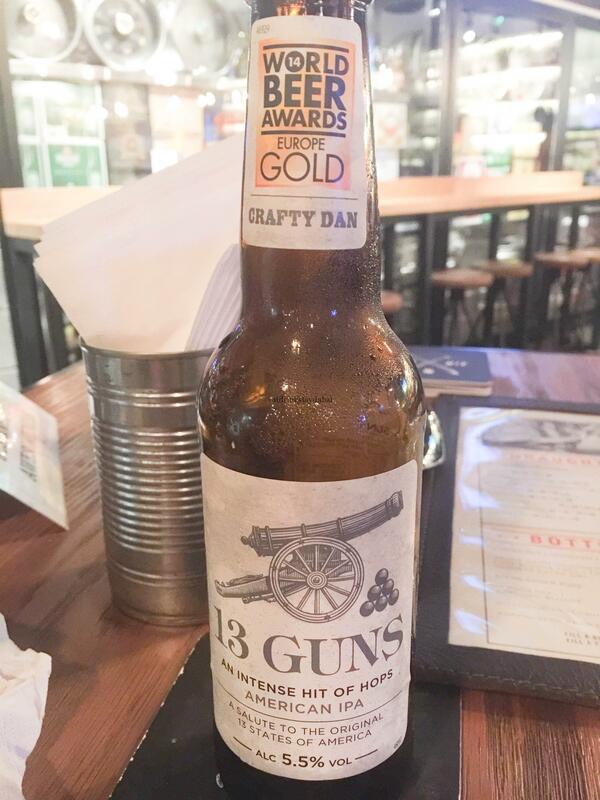 It was ironic to to be drinking drink 13 Guns IPA in a Dubai bar despite it being branded as “A Salute to the orginal 13 states of America”, as it’s brewed in my home town back in England! Brunswick Sports Club: What’s good? The service was quick, friendly and cosmopolitan. It was nice to be able to chat about Kenya with one of the waiters and England with one of the managers over a few hops. 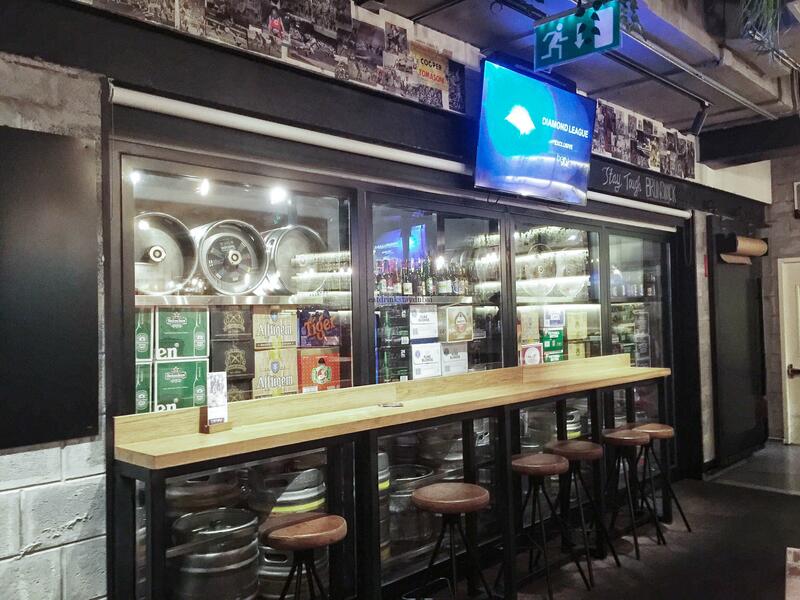 Wide range of beers, especially good for hipsters that are looking for craft ales. Sports is big here, so it’s a great place to pop along with mates to watch all the Premiership games for instance. 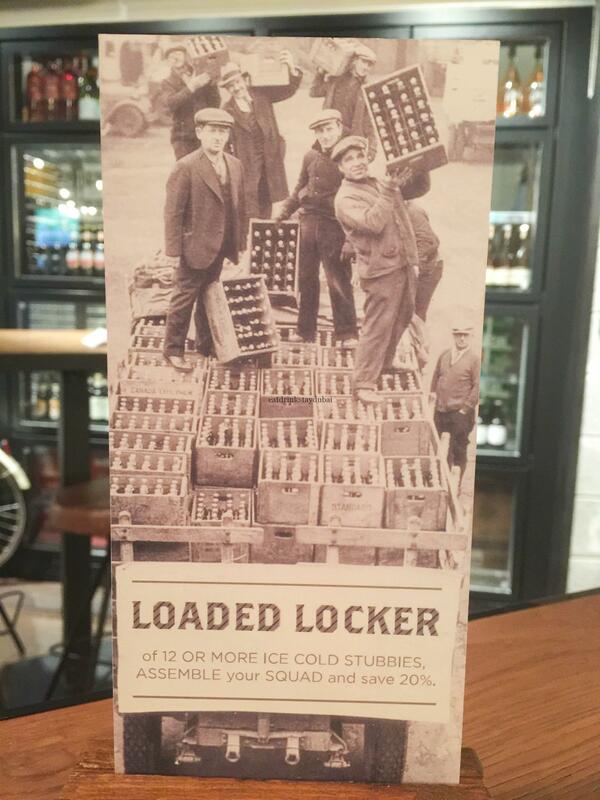 Perhaps the most interesting aspect of Brunswick Sports Club – for me anyway – would be the opportunity to purchase 12 bottles for 20% discount, mark up the box with my name and leave it in the fridge for a returning visit. Brunswick Sports Club: What’s not so good? Location – it’s not that easy to find, but it’s also quite out of the way for most expats to visit as a regular haunt. Is it meant to attract hotel guests, weary shoppers from the Mall of Emirates or expats keen to gather to watch sports? 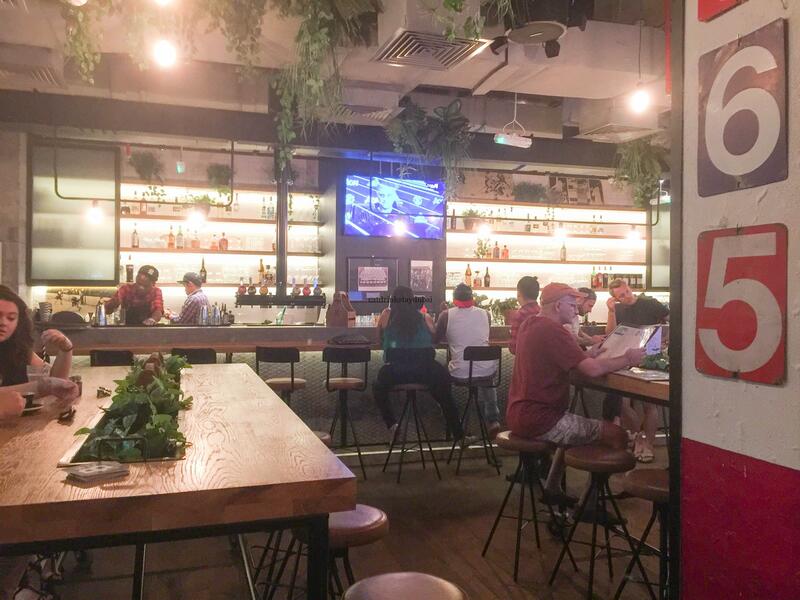 I know most Tom and Serg venues are in seemingly out-of-the-way areas, but I just think they’d really be onto a winner if a bar like this was in JLT rather than MOE. Despite being within the Sheraton Mall of the Emirates, the venue is not affiliated with the hotel so there’s no loyalty to be earned with Starwood Preferred Guest (SPG). Speaking with one of the staff, he explained they have a ‘business relationship for marketing’ but it’s a personal gripe when venues within hotels don’t offer any loyalty to customers in the the hotel’s loyalty program. 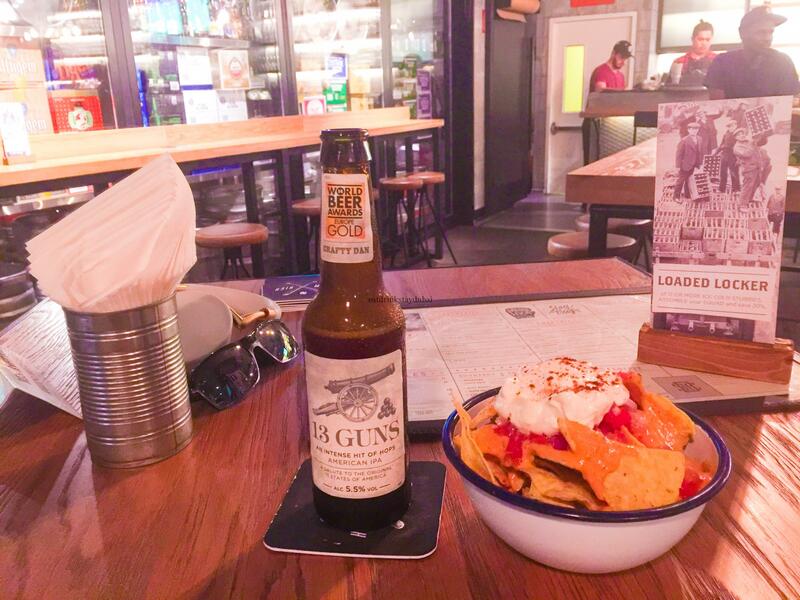 Terrific laid-back sports bar with wide range of craft ales, but in a crackers location for expats – Al Barsha? We feel no freebies, no bias, no PR or marketing involvement makes for a better objective and fairer review for you.